Batman and Christmas do not really come to mind as the perfect combination, but after watching this hilarious video by the PistolShrimps you'll wonder how you ever lived without it. It makes the perfect Xmas combo. It's getting close to that time of the year when you will be forced to eat an insane amount of food, be nice to all of your family for at least twenty four hours and smile pleasantly to them as you open presents that you are pretty sure were destined for someone other than you and a horrific labeling mistake must have occurred. But Christmas would not be Christmas without the post-dinner collapse onto the sofa and a traditional classic Xmas movie playing while you all collectively struggle to digest your food and stay awake, it's a family right of passage. And lets face it, there is nothing more Christmassy than The Batman, a common symbol of the festive season in all cultures across the globe, come to spread love and good cheer (and unlimited pain and death) to everyone as they celebrate the birth of the baby Jeebus. So what better way to get you totally in the mood for the season of good cheer and good will and general goodness to things and stuff and all that, then the Dark Knight turning up in some Christmas movie classics to spread his ill will and totally ruin them. 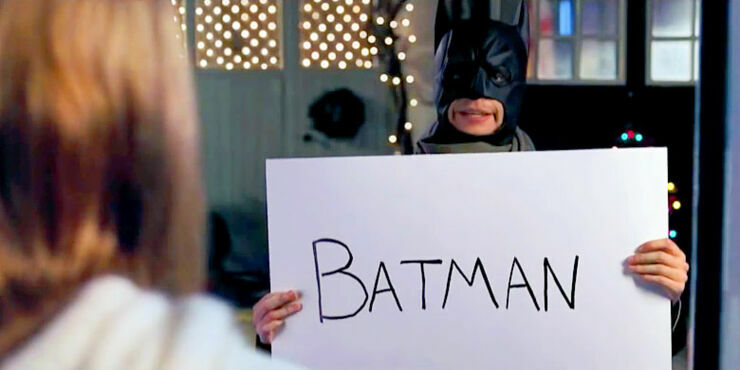 Just don't ask Batman what presents his mom and dad got him for Xmas. The Toughest Job In The World: Ever Wondered What It&apos;s Like To Be Nicolas Cage&apos;s Agent?